All over the world, all through the ages, travellers, tribes and wanderers have been thrown together by the tailwinds of life. Settling where they can, surviving with whatever they can gather, jostling for shade and a place to sleep. On the fringes of a rural village in the northern state of Rajasthan in India, a corner plot of about 20 acres of land was recently cleared, presumably to be developed commercially. Within days though, it sprang into a bustling gypsy micro-city. It started with a herd of goats, a couple of milking cows and some charpoys. Actually, in most Indian villages that’s infrastructure. Tents and makeshift shelters started going up, cooking fires smouldered all day and then came the dancing girls! I first noticed the women by their decorative Rajasthani style lehenga’s, long skirts swishing in the sand, ivory bracelets from wrist to shoulder, jingling anklets and heavily adorned dupatta’s worn across their heads, just enough to show the hanging silver bell-shaped earrings that sway with their tall, lithe physiques. Passing through the village, I noticed a small band of women working on laying the new village road, labouring under a 45-degree sun sweeping the rocks and sand to make way for the bitumen. As our car slowly went past, one woman turned to look up and I saw her face. Not a traditional beauty but intense pale piercing eyes, a strong aquiline nose accented by high cheekbones and a silver studded piercing. She had a face waiting to be captured through the lens. An arresting, stark and exotic face whose look was captivating. Her stare back to me was full of inquisition, I guess to her my fairness was equally fascinating. I remember when I first travelled through Rajasthan, seeing the colourful assemble all tumbled together in a joyous celebration was a wonderful reflection of Indian life. Wandering through palaces, many converted into luxury hotels, we crossed courtyards, ambled down connecting narrow corridors bathed in the light from within the emerald, sapphire and silver mosaic mirrored rooms and breathed in the fresh air from the heights of the princely balconies. There’s a Regalness in the place whose name literally means Land of the Kings. It is in the sandy foothills of Rajasthan, that for generations the Rajputs and Hindus have staunchly fought off every invader since the Mogul warriors first crossed the Khyber Pass on horseback. Face to face with the majesty of kingdoms that would serve to inspire them in their quest for India. Still imprinted on the Palace walls ascending to the inner courtyard are yellow, red and orange faded palm prints pressed into the stone. This practice of Sati, where the recently widowed princesses immolated themselves on the King’s funeral pyre, is seen in these small delicate handprints, recorded for posterity. But it’s the faces of the Rajasthani women, particularly, who really imprint themselves on your memory, which is how I so easily recognised the colourful and bustling village bursting into life on a barren stretch of highway. These women are known for their charismatic beauty, the Kalbeliya and Bopa, acclaimed as the Queens of the Rajasthan Desert. Rajasthan even today is dominated by a myriad of tribes, the most prominent of whom can trace their ancestry back to the Indus Valley Civilisation, no wonder they have depth in their eyes. Jean-Phillipe Soule who travelled to Pushkar, says that these gypsy tribes survive “moving from place to place, sleeping beneath the stars on the outskirts of towns.” Sadly, he writes that “the Bopa and Kalbeliya share the bad reputation of gypsies the world over. Once much sought after by kings and maharajas, they were hired to provide exotic entertainment—the Bopa are talented musicians and singers and the Kalbeliya are dancers and snake charmers. However, as royal audiences disappeared, the Bopa and Kalbeliya gypsies lost much of their livelihood. Today, they subsist as semi-nomadic street performers, travelling between fairs and festivals”. Of course, I don’t know if the gypsies in my story have their heritage and home amongst these desert tribes, but the linkages are there in their adornments, swirling skirts, drifting community and earnest eyes. For a moment I loved watching them weave an existence out of nothing. It’s a way of life that has carried them, resilient and sunny, through the generations. How long they’ll stay and entertain this little corner of the world, is anybody’s guess. 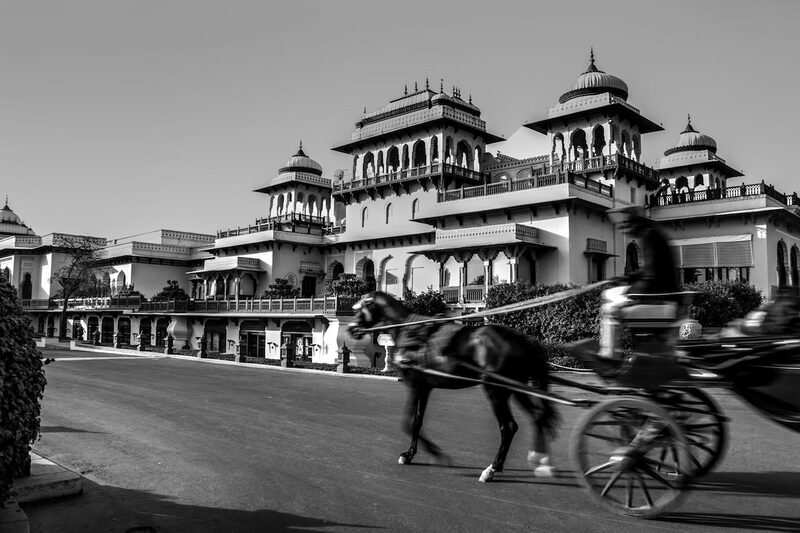 Planning a trip to Rajasthan? Check out the best times of year to visit. You might also like to read about Jaipur in Jai ho Jaipur!